Want to learn how to how to make six figures as a freelancer? Meet the creative pros who've done it in our Six Figure Freelancers Expert Series! This week we bring you a "Mini-Course" from Nathanael Clanton of Frontrunners.life. What makes Nathanael a Six Figure Freelancer? Over a dozen years as an entrepreneur in the design industry has made Nathanael a passionate translator of clients’ vision through brand consulting, design and strategy. His clients include Nike, Xbox, Brand Jordan, Apple, Microsoft, GAP, Ken Griffey Jr., Asics, NFL and NBA athletes, as well as leading design for the multi-billion dollar corporate merger of Matthews International. 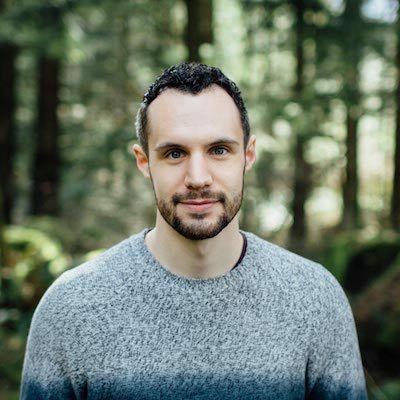 He is the author of STEP 0 and the blog Frontrunners.life, and lives in Portland, OR with his wife Shannon (+ baby to come!) & charcoal lab Mylo. My brother and I recently received this message from a friend over in Australia who has been really loving the new opportunities she’s been getting for graphic design work. Our conversation with her inspired me to write this article and expand on some of the things we shared with her because I feel that the advice is applicable not just for graphic designers, but for all creative entrepreneurs. I’ve been a designer for over 12 years, and as much as I learned in school, there’s so many lessons that you can only truly learn firsthand. That being said, I care a lot about helping other people’s growth process become shorter and more streamlined than mine, so I can save them time, stress, and set them up for greater success sooner in their careers. This article shares some of the most valuable lessons I’ve learned in my career as a creative entrepreneur. And while some of it is specifically for designers, the vast majority of it applies fully to anyone who is running a freelance or self-employed creative business. Dig deep and see how many of these principles you’ve already put into practice and which ones you have yet to make use of. You've got your foundation in place for sure. NEVER do a job without a contract. N-E-V-E-R.
Trust me, I've learned the hard way, too many times. - So no matter how in a rush your client is, take the time to negotiate the scope of your work and a price that you feel will be rewarding to you and get a signed copy of the contract AND a 50% downpayment before you even touch an Adobe program. A contract isn't a dirty thing, it's an expression of mutual commitment; it protects their investment, it allows you to be able to dedicate focus to their project, and the plain fact is that it's a standard business practice. If they give you a hard time, I would warn you to be wary of anyone who DOESN’T ask for half down and a contract, because they’re probably not very professional. I would recommend having a contract even with people who you know very well. ESPECIALLY with people you know well (i.e. Friends and Family), because there’s nothing worse than letting a financial matter screw up your relationship because you guys didn’t have clearly defined parameters and expectations. Never assume that what you are thinking in your head is the same as what the other person is thinking. you can only be sure of that once you expressly write it out and then both mutually agree upon that. this is what a contract is for. A contract will provide both parties with peace of mind and a feeling of security. It allows both of you to know what to expect from each other, and gives you a reference point for all decisions, both creative and financial. 2. Get yourself a good invoicing service. And it adds a level of credibility to your business and billing process. I use Freshbooks. It sends a digital invoice to your client, and has lots of great features like online pay, overdue reminders, custom branding, automatic late fees, and it tracks which projects are paid and which aren’t. People are much less likely to complain about a late fee that’s automatically charged by a computer, rather than if you were to call them on the phone and explain that their project payment is overdue. The most useful aspect of this by far is that it helps you track which projects you’ve been paid for and which you haven’t, this is something I used to do manually which was total pain. It helps ensure that you’re not leaving money on the table because you forgot to ask for payment. – It also makes it much easier to collect payment because you’re no longer hassling your client through texts and phone calls, but rather an automated system is giving them reminders to pay you. People are less likely to get annoyed by a persistent computer than they are by you sending them 10 texts in a week. Don’t rely on your client to keep track of when to pay you, they’ve got more important things to focus on. Getting paid is one of your biggest, if not the biggest, responsibilities as an entrepreneur. It is what allows you to keep doing what you’re doing, so you literally cannot afford to slack in this area. Another way to avoid awkward payment situations is to CLEARLY define your payment schedule in the contract before you do any work. This way your client knows in advance exactly when they need to make payments to you. I traditionally do 50% down, 25% at the midpoint (2nd round of concepts), and the remaining 25% BEFORE I deliver the final artwork to them. On smaller/shorter projects, I tend to do 50% down, then 50% BEFORE I deliver the final artwork to them. 3. Never negotiate your rates. N-E-V-E-R. Come up with a billing rate that will allow you to provide for your basic needs, then ADD to it so that it will allow you to take care of yourself beyond your base needs. REMEMBER, IF YOU CAN’T AFFORD TO LIVE, THEN YOU CAN NO LONGER DO WHAT YOU LOVE. THIS IS PERHAPS THE MOST IMPORTANT PIECE OF ADVICE IN THIS ARTICLE. Typically freelance design pay is higher than being on staff somewhere because you are also responsible for all the other expenses that would normally be covered by an employer (insurance, software, subscriptions, health care, etc. ), as well as the fact that you do not have 40 hours of work guaranteed each week. If you have a client who says they can’t afford what you’re charging, DO NOT give a discount. You don't negotiate on price, you negotiate on SCOPE. Make sure that you're not just charging bare bones for your work because you view yourself as "inexperienced". Remember, if you are self-employed, you are running a business. Your goal isn't to survive, your goal is to THRIVE. If a business is not profiting, it is not going to make it. So please, don't just charge enough to make ends meet, make sure you are charging rates that allow you to make a profit, to grow, and to progress. The service you're providing is valuable. And compared to your clients, you ARE an expert. Also, if you are doing work for clients, you ARE a professional, not an amateur. So don’t let people who aren’t designers dictate the value of your work. Of course, charge a rate that is relevant to your experience level. Don’t go charging clients $100/hour just because you want to; you only get to raise your rates when you believe that you can provide them with a service/product that is WORTH that amount. As you grow in experience, you can begin to charge more accordingly, because you have become more valuable. This is the same thought process I use to evaluate when my rates should go up: I look back and evaluate my growth, how much faster I’ve gotten, how much stronger my design solutions have become, how my skill set has increased, how my customer service has improved, etc. I also evaluate how I feel after a job, comparing what I charged with the time and effort I put into it, and I trust what my gut is feeling about it. Ex: “Was that job worth $2k because I’ve charged that in the past, or do I feel like I put $4k work into it?” This is a very useful practice because it gives me insight into how to price jobs and adjust my scope in the future. I can then lead out my future proposals with my updated rate because I know that I can provide them with that level of value moving forward; and if a client has a smaller budget, then I know that I need to adjust the scope of what I’m providing. Most of the time, clients are happy to pay my higher rates because my self-confidence gives them confidence that I’m giving them a good return on their investment;, not only that, but they can see that the service I'm providing actually justifies the rate. And smaller clients have always been grateful to scale down the scope of a project to fit their budget because they appreciate that I genuinely care about keeping them within their parameters. It’s a win-win. 4. People will only value you as much as you value yourself. As a rule of thumb: Cheap projects generally take just as much, if not more, work as higher-billed projects. This is something that over a decade of experience has taught me. I generally have ALWAYS regretted giving discounts and reducing my rates, because there’s something in me that knows I’m short-changing myself. A project should always be a MUTUALLY beneficial relationship between you and the client, otherwise it’s a recipe for one of you feeling frustrated and ripped-off. Charging what you’re worth allows you to be excited about the work. It helps you do better work because you know you’re being rewarded for your effort, which creates a better end-product. Compare that to undercharging, which results in you dreading working on a project, which affects your customer service, as well as your creative flow. 5. Don’t compete on price, compete on value. Let’s face it, there are online services where somebody can get a logo designed for $5. FIVE DOLLARS. That is completely unrealistic for making a living. Of course, the people who buy from these sites have to compromise on value drastically. Don’t compete on price by whittling down your rate lower and lower just to get a client. So what if their neighbor’s nephew owns Photoshop and is willing to design their logo for $100, you’re not trying to compete with that guy. You’re providing a completely different service than that guy. Would you want to land on the low-end, where the price and the quality is low, or would you want to land on the high-end, where the price is high and the quality is exceptional? You can do ten $250 jobs and spend 200 hours, or you can do one $2,500 job and spend 40 hours. Which would you rather do? You can just as easily spend 30 hours on a $300 logo as you can on a $3,000 logo project, and the design can be the same level of quality; which would you rather have? Sure, you will most likely get less large clients in the beginning, but as you strategically position yourself as a higher-value service provider, then you will begin to get more referrals for higher-value jobs, especially if you knock it out of the park on the big jobs. HINT: Successful clients will be your best references for future successful clients. In life, you get what you TOLERATE. You deserve better than to work with people who won’t pay you what you’re worth just because they are cheap, and you don’t have to take a low-paying job just because someone can’t afford it – no matter how nice they are. What those situations mean is that it’s not a good fit for you and them. In those cases you simply tell them, "It's looking like it's not a good fit for us", and refer them to someone else who is less-experienced, or who would be happy to help them out at that level. Trust me, it’s worth passing on those jobs. Unless they’ve worked with other designers, people largely don’t know what design costs, they don’t understand the value of it. Oftentimes, people aren’t intentionally trying to screw you over, they just don’t know what design costs. It’s your job to be patient with them and educate them on the value of the return on their investment, then let them decide if they want to make the investment you are asking for. Pricing all about positioning yourself as a higher-value designer/creative, and being confident that what you can provide is better than 80% of the other folks out there. And if you lose jobs because they couldn’t meet you at your price point or weren’t willing to adjust their scope to match their lower budget, then that is actually a GOOD sign, that you are positioning yourself at a higher level. You will ultimately attract higher-value clients in the future, and those people tend to appreciate and understand the value of design more, which leads to a much better working relationship, and potentially a long-term, mutually-beneficial, client relationship that pays you really well. 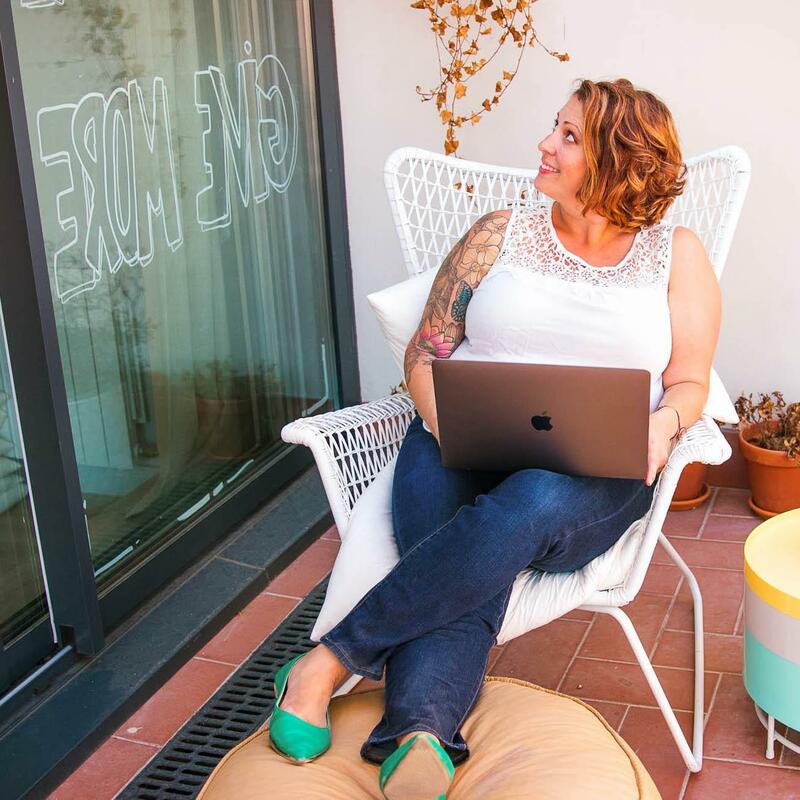 If you're brand new to freelancing, check out Kate's Six Figure Freelancers Coaching program... you'll get step-by-step advice for starting your business, positioning yourself as an expert and setting your rates. If you’ve been a around awhile, there’s this incredible guy I follow online named Brennan Dunn who wrote an amazing book called "Double Your Freelancing Rate", that helps challenge fears and insecurities that every freelancer encounters and he helps you change your perspective to valuing yourself and your work more, and then others begin to do it by extension. – Highly Recommend! Also, check out Paul Jarvis' Creative Class or subscribe to his newsletter, The Sunday Dispatches. He writes about freelancing and entrepreneurship a ton, and is one of the most brutally honest and transparent people in the industry, in a good way. "Design Is A Job" and "You're My Favorite Client" by Mike Montiero. Highly recommend! His books are a kick in the pants and full of empathetic-tough-love. Literally every designer/creative business owner needs to read these. "Work For Money, Design For Love" by David Airey. "The Four Hour Workweek" by Tim Ferriss – About designing a life and living unconventionally. This redefined how I do my business and set goals for the kind of life I want to live. 6. Get help building a network. See if there are any talent agencies in your town and register with them. These are basically staffing agencies that connect companies who need creatives with their network of designers. (Kind of like how actors and musicians have agents who get them gigs.) If you get connected with them, they can send some great work your way, help you build relationships, and can be a valuable resource for knowledge. TIP: Make friends with one of the talent managers at a few different staffing agencies, they’re pretty much all really social and super-nice, and they will be more likely to put you at the top of their list for referrals. FYI: Most big companies don’t post their jobs on Craigslist. They sometimes do on LinkedIn and Indeed, but oftentimes they reach out to the creative agencies first and ask them for specific referrals. They do this because the agencies have already done 80% of the work by interviewing and pre-screening qualified creatives for certain roles. This makes the company’s hiring process much simpler and streamlined. So its an excellent idea to register with all the major talent agencies around town so you can gain access to these opportunities that most folks won’t ever see in the job postings. I got two of my first big gigs out of school through a talent agency. These jobs introduced me to future clients, one of my biggest design mentors, and other friends in the industry who now work at a variety of different companies. In the coming years, I’ve referred many other designers to them, who have subsequently found other jobs as a result. It’s a must-have relationship for every designer to take advantage of. There’s no single right answer for the question, “What should I charge”, because it’s relative to every creative. It depends on your skill level, experience, the level of service you can provide, how well you can market yourself, how good you are at selling your ideas to clients, your speed, and a bunch of other factors. If you need a reference point for pricing, it’s tough to find any specifics out there because people closely guard that knowledge. But I would say for a beginning Freelance Graphic Designer, you’d want to charge in the $30-40/hr range. Now, this doesn’t mean you’ll make $60-80k per year, because as a freelancer, you’re not going to have 40 hours of work each week. Your annual income depends on your level of hustle, how many jobs you decide to take on, how many jobs you can win, and the rate at which you complete them. This is one reason why you can’t charge minimum wage rates for design; the other reason being that you possess a valuable skill that can and will help your clients make thousands of dollars as a result. Disclaimer: You don't have to tell your clients your rate. So what you should do when you get a prospective client, before you say "YES! ", is have a conversation with them. I call it a "Qualifying Conversation" - I actually have a questionnaire for it that I email them. Ask questions about the company, what do they need, what's the timeline, what is their budget (and yes, you ARE allowed to ask that. It allows you to know what exactly you can provide them based on their budget. ), etc. Thank them for their time/answers and tell them you’ll get back to them with a quote. The purpose of this is to find out exactly what they need, and to use that information to determine whether the project is a good fit for you. Following the conversation, based on what they want you to design, you estimate how long you think it will take you to complete the work (including research, roughs, reviews with client, revisions, etc. ), and use that number of hours along with your hourly rate to get a total number. One thats solves their base need. One that does that plus some additional needs/wants. And one that does everything in the other two plus something extra that could help amplify their brand. Like I said in Point 2: Billing structure is traditionally 50% down before start of project, 25% at midway, and 25% upon completion and BEFORE delivery. When using a flat-fee approach to pricing, you have to be very mindful of staying within the scope of your agreement, because it can be tempting for clients to think that this means they can get an “All you can eat buffet” for a single price. This is NOT the purpose of a flat fee. In order to hedge yourself against situations like this, read on to the next point. Jessica Hisce has an excellent article called, “The Dark Art of Pricing” that is a great reference: Go HERE and click on the “On Getting Paid” section to find it. Make sure that in your contract you are SPECIFIC about what you are creating for your client. This is your Project Scope. Most clients don’t do this on purpose. Getting inspired with new ideas is just something that happens naturally as a result of the creative process. However it's one of the most important things you have to account for when working with clients, because if it’s not nipped in the bud in advance, you can easily burn away your profit margin until, once again, you’re like our friend Napoleon Dynamite, making a dollar an hour. Oftentimes, clients get branded as being “unreasonable” or “demanding” because they continued to ask for un-scoped work and because the designer felt like they had to make it for them. "Ok I can definitely do that for you. What is your budget for these additions?" It reminds them that more work costs money. And it helps them to stay on budget. If they ask, explain to them that you're bringing this matter up because want to help them stay within budget. They will be grateful for your consideration of their finances, it's both professional and courteous. So if they're asking for more than they currently can afford, let them know you can do that once they have more money, or you can trade that new item in the place of something that was in the original scope. You don’t have “Bad” clients, you’re just doing a bad job of communicating with them and sticking to the contract. YOU are the professional. YOU are the one who knows more about the design process then they do. YOU are the one who understands how long it will take to make certain changes. YOU are the one who better understands the ramifications of changing the creative direction mid-project. It’s not fair to the client for you to assume that they should respect the design process when they don’t even know what that process is. You must educate them how and why it’s important to lay out the scope at the very beginning, to communicate to them the cost of additional work, and to help guide them through the process and make the best financial investment in your services where it will count the most. The VERY BEST way to avoid most of these problems is to clearly define the scope in the contract, then to continually come back to the contract when instances of scope creep arise. 9. Make sure you take care of taxes. It can be a huge shock paying taxes your first year of being self-employed, since it’s so drastically different from being employed at a job. One of the most valuable, and profitable, skills you can gain as a self-employed business owner is to learn how to do your own taxes. Whereas most people who work in traditional employment situations might take a passive approach to taxes, only thinking about them once a year, hiring someone to do them, and crossing their fingers for a big tax return; when you're an entrepreneur, it pays HUGE to take an active approach to your personal taxes. Firstly, you shouldn't expect to get a tax return back anymore, unless you have another income. (The reason for this is because you aren't having an employer automatically taking out taxes from each paycheck, you get to receive the whole amount of your payment, and it's your responsibility to decide what to do with it.) This is one of the big pain points of being self-employed, but I like to think that the benefits outweigh the drawbacks because you get to make use of your money throughout the year, and you can recoup a lot of what you owe through deductions. I’d recommend setting aside 25% of each payment you get from a client for taxes. It’s painful at first, but not as painful as owing $10k at the beginning of the year when you file taxes. This is money that you do not spend; you have to consider it “already spent” because it’s set aside for taxes. A good idea is to put this in a savings account and not touch it, because technically it doesn't exist since it already belongs to the government. This takes discipline. A creative idea I'm considering experimenting with is possibly putting it into a low-risk investment account (like index funds), and seeing if you can earn some interest on that money throughout the year. (Disclaimer: I am not giving any official investing advice.) If you make sure you’ve set aside this money throughout the year, then you can actually hang on to a good portion of it by taking business deductions when you file, as well as have what you need to pay off what you do owe. In this way, you can essentially get a “Tax Return” by paying less taxes than you saved up – you get to keep the difference. TIP: You can also PRE-pay your taxes throughout the year here: (LINK to EFTPS). Many business owners do this quarterly so it lessens the sting of paying a big chunk once a year. Tax deductions are your best friend when you’re self-employed. There’s so many benefits connected to running a business and so many breaks available if you know about them. And you don’t have to wait until your business is profitable to start writing off deductions. It’s not uncommon that businesses take a few years to become profitable, but you can take deductions even if you’ve invested more than you made. Don’t leave more money on the table than you have to. A wonderful tool to track your expenses throughout the year is Mint. It's owned by the same company that owns TurboTax, which I use to file taxes myself. You can connect most types of accounts (Bank, Credit Card, School Loans, etc.) and Mint will track every transaction, deposit, and debt across all your accounts and automatically categorize them. Then, when you file your taxes, you have beautiful graphs and totals that are already calculated for you, rather than having to hand-sort thousands of receipts. This process literally reduced my tax-filing time by 75% this year. So rad! I like to think of doing taxes as one of my most profitable days of the year. “Money saved is money earned.” – Think about it: If you owe $15,000 in taxes and you reduce that amount to only $5,000, you literally just “made” yourself $10,000. And if it took you 10 hours to file your taxes, that’s the equivalent of $1,000 an hour! You'd be extremely lucky if you can name even one client job where you got paid that kind of money! So don’t be afraid of filing taxes; if you have this perspective, then it’s actually pretty exciting! Finally, make sure you have a healthy work/life balance. Set reasonable hours for yourself (even if you’re still single and have the luxury of hustling day and night). Don’t answer client calls or emails after 5:30/6pm. You don’t want to condition them to think that you are on-call at any time. Don’t work on weekends or let work bleed into your off-hours. If you don't have balance, then you’ll never fully shift into “Rest mode”, and that’s a surefire way to burn out. People will only respect your time and value as much as you respect it. When you provide yourself with margins in time, relationships, and finances, then you will have the capacity to actually LOVE what you do because you get to enjoy the rewards of it. Over a dozen years as an entrepreneur in the design industry has made Nathanael a passionate translator of clients’ vision through brand consulting, design and strategy. His clients include Nike, Xbox, Brand Jordan, Apple, Microsoft, GAP, Ken Griffey Jr., Asics, NFL and NBA athletes, as well as leading design for the multi-billion dollar corporate merger of Matthews International. 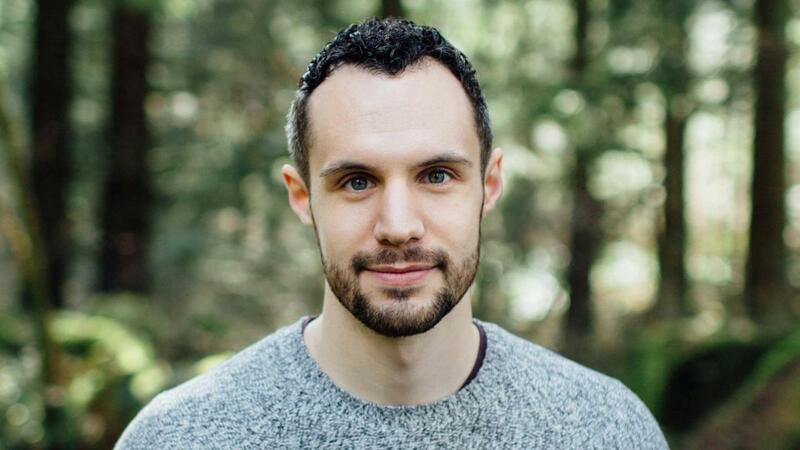 He is the author of STEP 0 and the blog Frontrunners.life, and lives in Portland, OR with his wife Shannon (+ baby to come!) & charcoal lab Mylo.